Tooth & Nail was founded by Rob and Nancy Murray in 2011. Rob is a long-time grower in California selling grapes to some of the most well-known wineries in California. Tooth & Nail wines creates Central Coast flavors with edgy and historical labels. 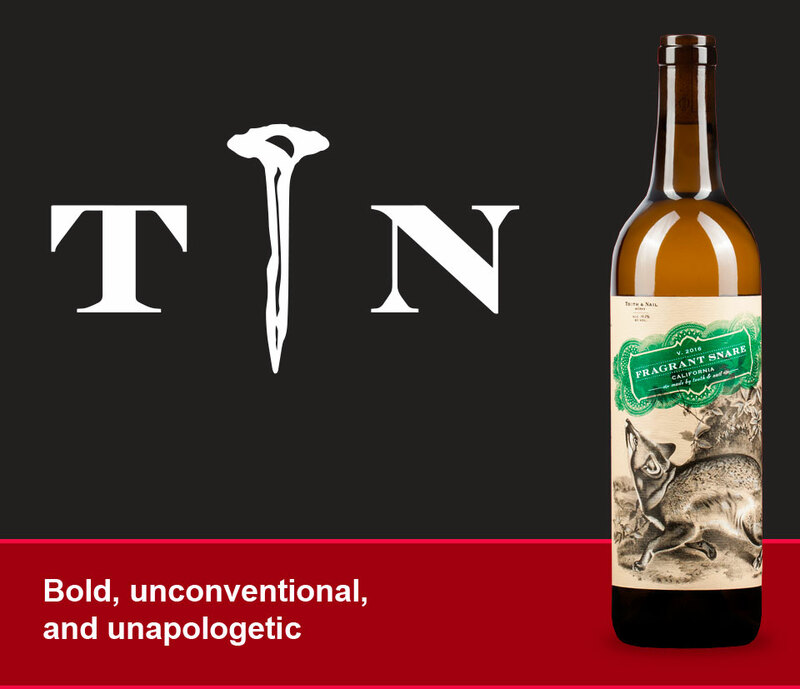 The Tooth & Nail labels all incorporate beautiful public domain art rooted in history, showcasing a rebellion in wine. The Tooth & Nail labels are John James Audubon originals; beasts of the early 1830s fighting “Tooth & Nail” to survive. These are our blended wines; bold, unconventional and unapologetic. Tooth & Nail red blends coat the glass with squid ink-ish, racy acidity, thick rich texture, and pulsing fruit. Our white blends are lush, resinous, balanced and clean, leaving you empowered and smacking your lips.